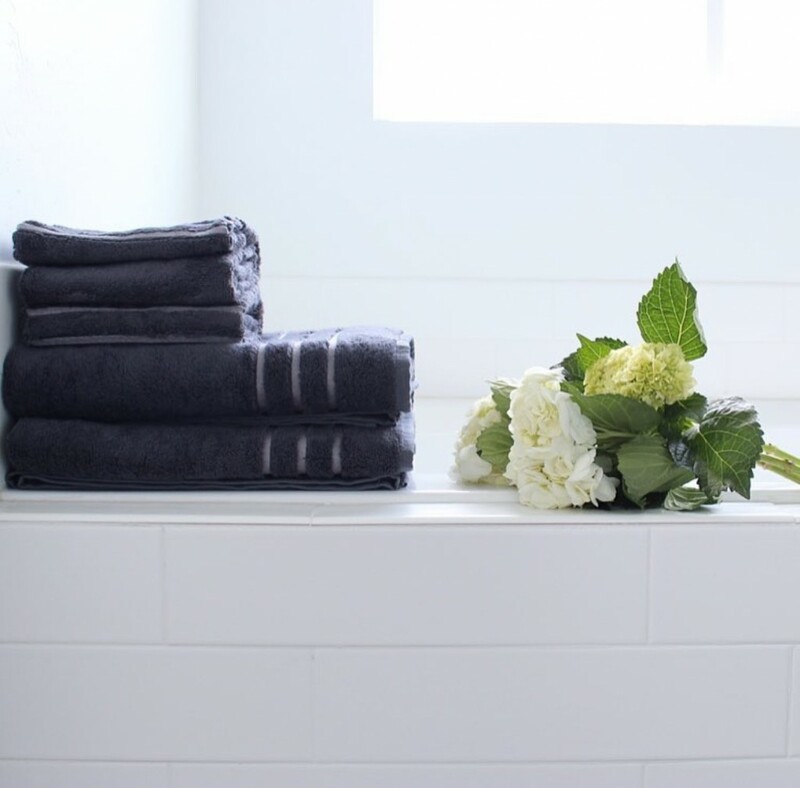 “I’ve been using the same bath towel for a week now, and there’s still no stinky, mildewy smell, and it’s still super soft.” That’s the kind of comment about our Bamboo Bath Collection that we hear over and over again from our customers. What makes Cariloha’s bath towels, bath sheets, washcloths, hand towels, bathrobes, and bath mats so remarkable. It’s all about the comfort, quality and odor-resistant properties of luxuriously soft bamboo viscose. I love taking a nice long shower. Sometimes it’s refreshing and other times it just helps de-stress. Not to mention how good it feels to be clean. However, I’m convinced there is nothing worse hopping out of the shower and finding yourself with a scratchy towel. Wouldn’t you agree? We have a variety of towels in our home – towels we got handed down to us when we moved out of our childhood homes and in with one another, towels from our wedding, towels from my old massage studio. We’ve had a lot of towels over the years. Honestly though? We’ve never found any towels that we absolutely loved. We discovered Cariloha, the sister company to Del Sol that I shared with you recently, several weeks ago and our world was rocked. We discovered these Bamboo Bath Sheet Towels and our lives haven’t been the same since. I’m well aware of how dramatic that sounds but hear me out. These bamboo towels are buttery soft. Since they are bamboo they are odor resistant – which means they don’t get that gross musty smell that regular 100% cotton towels do! Bamboo is also extremely absorbent which means the dry time is cut down. I know what you are thinking…but what is a bath sheet? I wondered the same thing and the short answer is a huge bath towel that is the perfect balance of thin and thick. These towels are literally 40″ x 70″. They’re huge! We’ve always had a problem finding towels that work wonderfully for Ryan because he’s so tall. That’s a problem of the past these days. He’s even got room to spare in these towels! The bath sheets wrap around me just shy of two times. I don’t have to worry if my towel comes un-tucked and it also means that they have plenty of room for baby snuggles after baths and showers! It’s common for at least one of my babes to end up in the shower with me and so after shower snuggles happen a lot. I seriously cannot get enough of how soft, huge, and cozy these bamboo bath sheets are. I’m absolutely smitten. These towels would also be perfect for going to the pool or spa because you can easily lay out on them and they are more luxurious than beach towels! Any excuse for buttery soft luxury has my vote. Read the entire review here. And, leave your comments below about your own experiences with Cariloha Bamboo Bath Towels.